More Indoor Snow Centres Currently Open Than Outdoor Slopes! Reports that with most of the ski areas in the southern hemisphere now closed (except in New Zealand), we have entered one of the quietest periods of the year with less than 30 ski centres currently open worldwide - less than .5% of the world total! 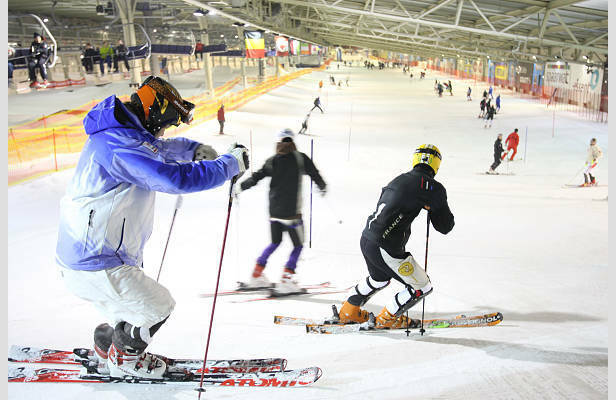 In fact there are currently fewer outdoor ski areas open than indoor snow centres - there are now more than 50 of these operational worldwide including SnowWorld Landgraaf in the Netherlands which is about to stage the first events of the northern hemisphere's FIS World Cup. Although more ski areas are expected to open in the Alps, North America and Scandinavia through October, it seems likely that open indoor centres will continue to outnumber these in to November, especially as more New Zealand areas end their 2010 season. This week New Zealand has the most ski areas open, with nine centres to choose from, but Austria is not far behind with seven glacier ski centres to choose from. Elsewhere in Europe there are still several areas open in Italy and Switzerland with Tignes the lone ski area open in France. You can also ski or board in South America - where just the Catedral ski area in Chile is open, although this is the last week of the season and in North America - where the timberline ski area in Oregon has reopened (Fridays to Sundays) last weekend.